Welded Gabions/Gabion Boxes Stone Cages are rectangular wire mesh baskets that are field-built and filled in-place with coarse aggregate or recycled masonry. Gabions are available in a variety of lengths, widths, and heights and the wire can have protective coatings. Welded Gabions/Gabion Boxes Stone Cages are commonly used for erosion control, bank stabilization, channel linings and walls. 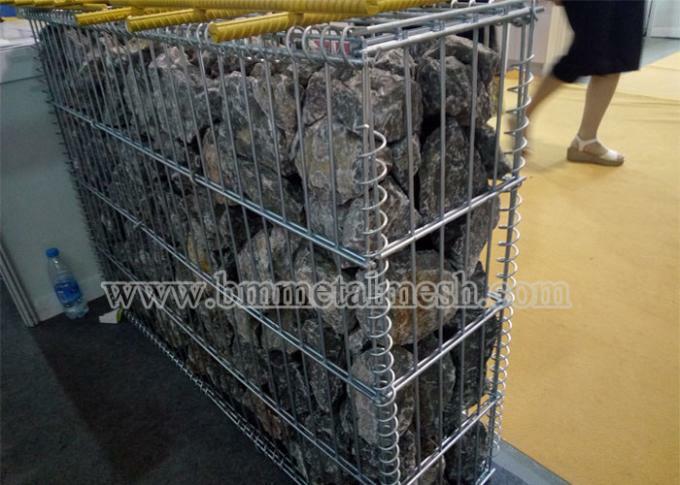 Gabions/Gabion Boxes Stone Cages exhibit a great deal of flexibility and therefore conform to irregular lines and grades. Constructing with gabions requires no specialized labor or equipment.